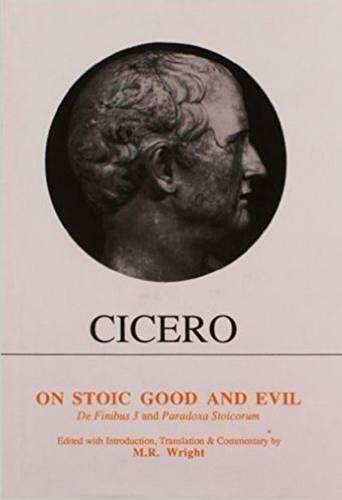 Cicero's De Finibus 3 gives, through the persona of Cato, an outline of Stoic ethical theory, and is the main continuous text on this subject extant from the ancient world. This edition with text and subtitles, facing translation and commentary, aims to present to the modern reader the arguments in a clear and accessible form against the background of the turmoil of political events surrounding the death of Caesar, and in a presentation that will allow those with only a little Latin to follow the original text. The Paradoxes give in a more popular form, and with many examples from Roman life and history, the contradictions resulting from a literal or unsympathetic application of strict Stoic theory to practice. Latin text with facing-page English translation, introduction and commentary.